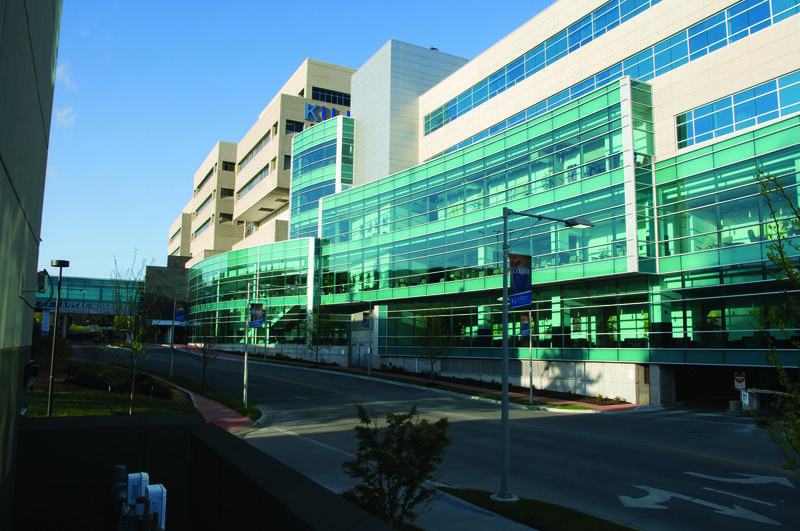 KU Med will see $3.2 million in cuts in latest consequence of falling revenue numbers in Topeka. The University of Kansas and KU Medical Center stand to lose the most from $17 million worth of cuts announced by Gov. Sam Brownback Tuesday. The state Board of Regents itemized those across-the-board cuts Wednesday. Rep. Melissa Rooker (R-Fairway) calls these new cuts "deeply concerning". Her district covers many Med Center operations, including research labs and the KU Cancer Center. In addition, she says, many Med Center employees live within her district's bounds. "I am alarmed by the ramifications of this, and I have concern for their ability to carry out their mission. That can't be overstated. They're under duress already," she says. Brownback vows not to consider tax increases to cover the budget shortfall. In a statement yesterday, he continued to blame the national economy for his state's woes. "This is an economic problem, not a tax policy problem," he said. That rankles Rooker, who says all options need to be on the table. "I know raising taxes is not a popular topic, but at this point we don't have any more tricks up our sleeves, to buy the time the administration says the tax plan requires," Rooker says. "We're up against a wall and our options are being limited artificially." A former teacher, Kyle Palmer is KCUR's morning newscaster and reporter. You can follow him on Twitter @kcurkyle. This story is part of the NPR reporting project School Money, a nationwide collaboration between NPR’s Ed Team and 20 member station reporters exploring how states pay for their public schools and why many are failing to meet the needs of their most vulnerable students. 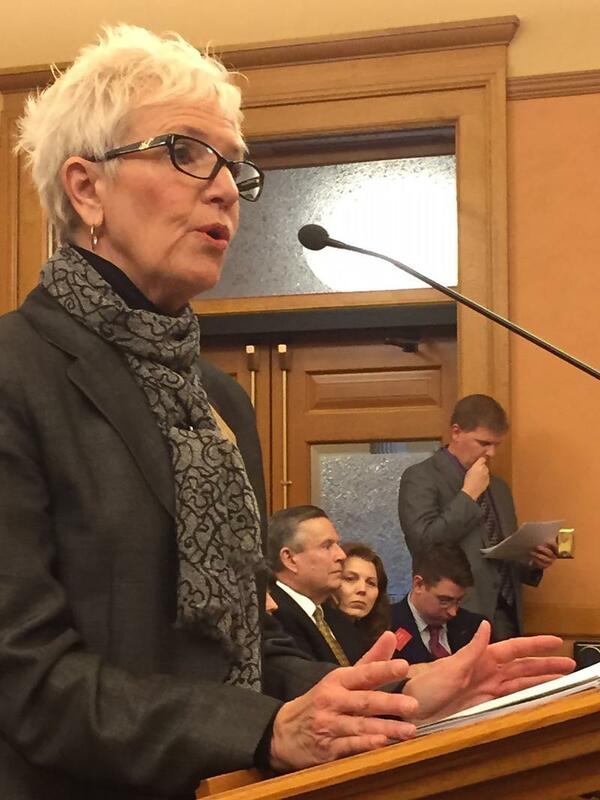 There is a showdown coming in the next few days in the Kansas Supreme Court. The high court will hear oral arguments on a school funding lawsuit filed five years ago and now just coming to a head. Kansas Gov. Sam Brownback has given lawmakers a budget that balances on paper. But it remains to be seen whether legislators will agree to the complex formula of spending reductions, budget transfers and administrative changes that Brownback is proposing to erase a projected $436 million shortfall in the budget year that begins July 1. Lobbyists representing several groups and causes are lining up in opposition to many of the changes. What's Going On In Kansas (This Week)? It’s hard to keep up with Kansas government these days. From balancing the budget, to school finance formula and recent "communist" name-calling, Up To Date checks in with statehouse reporters to try and make sense of it all. Bryan Lowry is the statehouse reporter for The Wichita Eagle. Stephen Koranda is the Statehouse Bureau Chief for Kansas Public Radio.